Welcome To Iraq Currency Watch or ICW. If you want to know more about the dinar and real economics involving the dinar then you have found the right place! We will address all the hype and lies that are told about this investment. All the guru’s that lie about this so-called investment have hidden agendas and many of these guys are getting kickbacks! Before you invest in this currency take some time and read about the hype, lies, and the con used to sell this currency. The only ones that will ever make a profit are the dealers and the gurus. I went to a great deal of time and trouble so that you could know the truth! In the end, only the truth will set you free! ICW started off by evaluating and analyzing the Iraqi dinar as an investment. From there we started to look at other currencies. That led to a study on how currencies work, and that led to a four-year study on global economics. We have been writing about economics since 2010. When ever you discuss and research these topics you will eventually compare economic models that nations have used in the past with current economic models. Today, ICW covers false doctrines associated with global economics. The purpose of the site was to update friends and family who were also invested. The site became popular as many posts were copied into internet forums. The site closed down in July of 2011 due to doubts over his investment. Once currencies were understood Marcus realized the foolishness of this investment. In January of 2012, Marcus reopened the site to warn investors of the many lies he discovered about this currency during the 6 month period that the site was closed down. It has been operating ever since. The site has had well over 400,000 views and hundreds visit everyday. add to the fact that Marcus personally allows and permits anyone to copy his posts to other sites thus extending the reach. This site has been copied and pasted into every dinar community and it has made its way into other types of forums as well. Sam I Am is a writer from another popular dinar site. He joined forces with Iraq Currency Watched a few years after it reopen. Sam merged his site and moved several posts over to Iraq Currency Watch. He archived many of his posts on ICW. Iraq Currency Watch is a result of my personal research and experience with the Iraqi dinar. Iraq Currency Watch was a success for what it was designed to do. I hope the new vision and intel will inspire people and give them the proper direction in what to do next. A special Thank You to all those who read and subscribe to Iraq Currency Watch. Thank You! It is my hope and prayer that the insight you receive from my history with the dinar will help you make the proper decision regarding this investment. The views expressed on Iraq Currency Watch are our own interpretations of videos, news organizations, Iraqi government documents, and world government documents found on the world-wide web. None of the information shared or discussed is classified and it does not contain any government secrets. Everything discussed is available on public domains and is researched. We typically supply links in all our blog posts to give a source for something we are trying to convey. The links supplied are only a small fraction of what we have looked up and what is available on the internet. I strongly suggest that people do their own research and not take our word for the information found on this blog. We accept no liability for the views expressed and declare them a matter of our personal opinion. Our opinion is subject to change if new information surfaces that we are not aware of. We will not give a date for the revalue/redenomination of the Iraqi dinar, and we will not give a rate for the revalue of the Iraqi Dinar. We simply do not believe this could happen. We do not know what any new rate will be. We do not know anyone in Iraq. We are not bankers nor do we work for financial institutions. We are not investment advisers nor do we hold a license for such a practice. All information we have on the dinar was obtained using the internet. We do not represent any dinar dealer and we are not affiliated in any way with any dinar guru or dinar dealer and their websites. In 2016 Iraq Currency Watch has received the archived research from Rod Saunders AKA Sam i am. Now Rod’s research has become a Major part of Iraq Currency Watch. The site is now managed by Marcus Curtis and Rod Saunders as of January 2016. 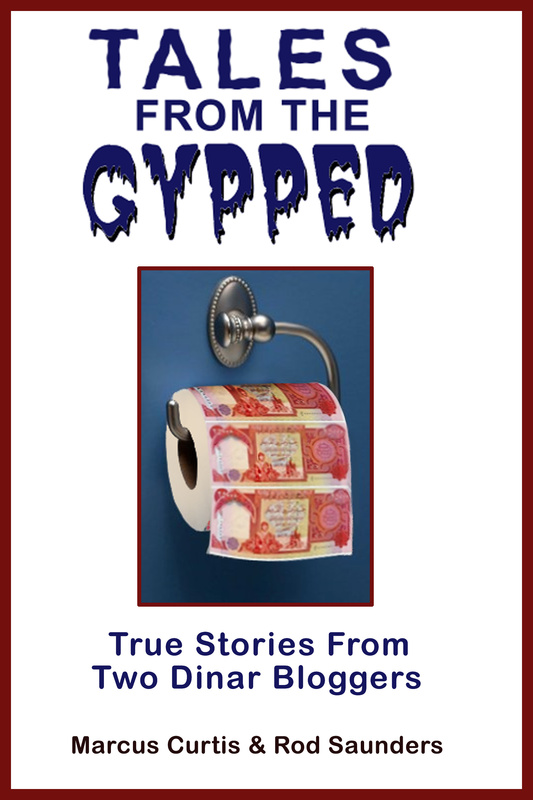 Marcus only started watching dinar sites as people copied and pasted his blog posts on those sites. We do not encourage piracy of this blog or any other blog. Everything you see on this site is the original source. Any article was written either by Marcus or Rod Saunders and quotes from other sources are duly noted and used as a short reference. Rod and I are the only authors of the content found on this site and it has not been originated from another source, location or another person. Any tax advice is only my opinion and may not comply with the actual law that is written. Tax laws change to frequently for me to keep up with them. Therefore I strongly suggest you find a qualified tax professional when the time comes to pay taxes from your investments. The Iraqi dinar investment is not guaranteed and there are risks involved. So invest at your own risk. I assume no liability for anyone who has willfully or unwillingly invested in the Iraqi dinar. 4) the effect of the use upon the potential market for or value of the copyrighted work. The fact that a work is unpublished shall not itself bar a finding of fair use if such finding is made upon consideration of all the above factors. As most people know I am a musician. I play guitar, bass, and drums. I also have a recording studio. I have built a website that will provide musicians with free guitar lessons, free software, and recording information. There is also a music blog attached to this site. In addition to recording advice, the site will also contain guitar theory charts in Adobe PDF files and free backing tracks. This is my current project and content will be added on a regular basis. This site’s resources are free and no email or credit cards are required! I have another blog that goes into detail about World Economics. We discuss the crash of 2008, The rise of our current system of exchange, and the future of where our monetary system is heading. I closed that blog down a while back because I did not have the time to maintain it and readership was low. Now I am in the process of redoing the whole website . It will be a website that will have an attached blog. It will talk about economics and it will explain the system. It will also cover some of the things that the bible says about money. Believe it or not, the bible actually has a lot to say about this topic. Hopefully, this site will be available shortly. A great deal of work has already been done and you can view what is up so far. This book contains much of the information that can be found that is spread across three sites that I own and operate. 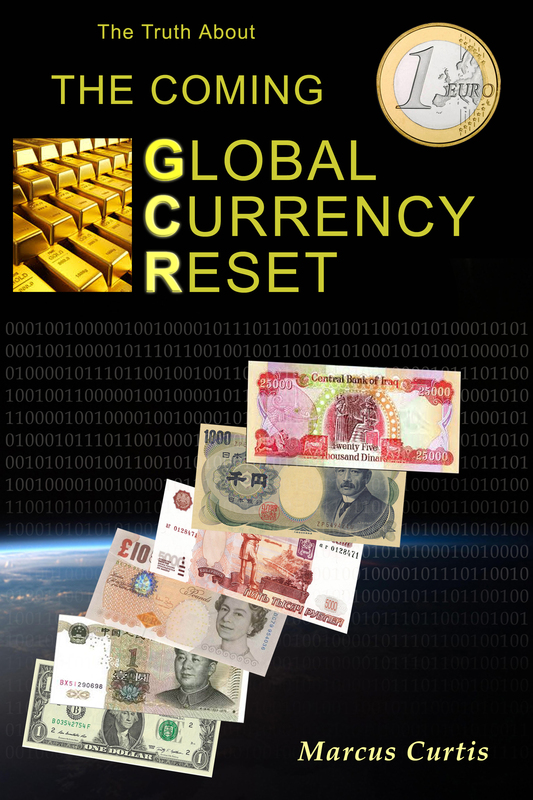 Iraq Currency Watch, BVAWE, and The Truth About The Coming Global Currency Reset all contain information that debunks the GCR conspiracies while at the same time covering the basics of global economics. Now, all that information can be found in this one eBook. To check out what this book is about in detail, check out the website that was made to explain the book. This book is available on Amazon, iBooks, Smashwords, or your favorite eBook retailer. The printed book can be found here.